Monshayla is using Smore newsletters to spread the word online. 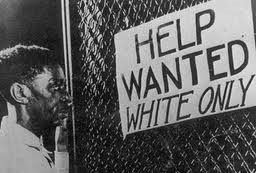 During the Great Depression about half of the African Americans were out of work, whites would the jobs just to have the blacks fired so they could the same way they felt. President Franklin Roosevelt began to change voting patterns. Roosevelt entertained African-American visitors at the White House and was known to have a number of black advisors. 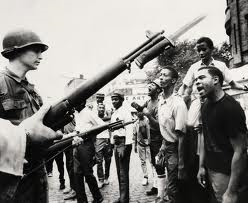 Still, discrimination occurred in New Deal housing and employment projects, and President Roosevelt, for political reasons, did not back all of the legislation favored by such groups as the National Association for the Advancement of Colored People (NAACP). 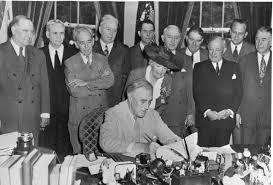 President Roosevelt issued Executive Order 8802, stating that all persons, regardless of race, creed, color, or national origin, would be allowed to participate fully in the defense of the United States. President Franklin D. Roosevelt was one o the main reasons why discrimination stopped for a little while. President Roosevelt was a caring man who entertained the African Americans in the White House. He's a connection to this topic because he was in a group called NAACP which is the National Association for the Advancement of Colored People. It was a program to try and stop the discrimination. He also launched a new law to stop discrimination entirely which was called Executive Order 8802 which was to treat people equally. Brin, Sergey, and Larry Page. "Google." Google. Google, 4 Sept. 1998. Web. 15 Jan. 2014. Karim, Jawed. YouTube. YouTube, 14 Feb. 2005. Web. 15 Jan. 2014. "US History." Ushistory.org. Independence Hall Association, 4 July 1995. Web. 14 Jan. 2014.